Experience life at Christopher Newport and earn college credit during this two-week immersion experience! The 2019 Summer Humanities Institute’s theme “Heroes and Epics” is evocative and timeless. We find heroes in literature, drama, history, philosophy, religion and the classics, while the epic narrative shapes our understanding of who a hero is and how their improbable achievements become possible. Through seminar-styled courses, you will explore and creatively interpret the idea of the hero, as represented in historical and contemporary western thought and artistic expression. You'll also examine various cultural understandings of the hero and the anti-hero, considering your own potential self-discovery in the process. Heroes and Epics is a fantastic opportunity to experience and participate in an ongoing conversation in humanities scholarship at the Christopher Newport. Participants will enroll in two courses for a combined three college credits. You will live on the beautiful Christopher Newport campus and engage with faculty and staff. Weekend activities will include social engagements, a sailing expedition on the historic James River and a theatrical production. The Summer Humanities Institute will foster critical-thinking and writing skills that will be valuable long after the program ends. Students will have a unique opportunity to get feedback from college professors before taking AP, IB or dual enrollment courses, and earn three college credits toward graduation from CNU or transferable to other institutions. Admission officers will be available to interview interested students – a crucial step in the college admissions process. The program runs June 16 - 28, 2019 and is open to rising high school juniors and seniors (students currently completing their sophomore or junior year). Only 40 students will be selected. Questions? Email summerhumanities@cnu.edu for assistance.  The Summer Humanities Institute will expose students to a wide range of thinkers and leaders who inspired dramatic shifts in ideas and values throughout history. Participants will explore these issues from historical, literary, philosophical and classical viewpoints. Students will develop critical-thinking skills through written and oral assignments, and take their learning beyond the classroom during activities and trips to off-campus labs and historical sites. Students will also have full access to the incomparable resources of the Christopher Newport University campus, including the Trible Library. This seminar will engage you to compare and contrast heroic motifs and concepts from the comic book-based, fantasy and space-opera films you know with heroic portrayals and stories from Greco-Roman antiquity, Hebrew narrative, the European Middle Ages and European romanticism. How can we understand them now, especially as mediated by popular culture productions of overt heroism? Students will build an inventory of heroic motifs, and learn to discuss figures of continuity and change. The 16th-century Quiche Maya Popol Vuh presents a dynamic story of two sets of ‘hero twins’ who take on evil in their lively exploits. However, the Hero Twins, as they are widely known, are just one example of protagonists in Mesoamerican history. This course will introduce you to several of these heroes, both mythological and historical, and their fantastic stories by using the visual material of Mesoamerican cultures. People like the Maya, the Aztec and the Mixtec, have created works of art, painted manuscripts and written accounts after contact with Europeans in the 16th centuries. We will use many of these rich primary sources throughout our own two-week adventure. This seminar will focus on women and writers of color in the genre of speculative fiction (fiction with supernatural or futuristic elements), in order to examine how these authors are transforming the conversation – one historically dominated by white male authors - on what it means to be a hero. The course will focus most specifically on Nigerian-born author Nnedi Okorafor and her novel The Book of Phoenix, in which she rewrites the term 'hero' to embody radical inclusivity. You will be required to analyze, synthesize and present papers using both primary and secondary sources, as you explore the re-invention of the hero, as presented in contemporary speculative fiction. In 1774, Johann Wolfgang von Goethe published The Sorrows of Young Werther, firmly establishing the trope of the “anti-hero” in Western literature. This intriguing archetype is a disenchanted, antisocial yet laudable male protagonist whose rebelliousness, mysteriousness and moodiness became alloyed with sensitivity to beauty, eagerness to love and scorn for tradition. After Werther, anti-heroes proliferated. Villains such as Mary Shelley’s Frankenstein or J.K. Rowling’s Severus Snape continue to engage the sympathy of readers even as they horrify them. But why? This course will survey the anti-hero’s literary origins, trace his genealogy and evolution through from the 19th century to today’s popular culture. Summer Humanities Institute participants will stay in Christopher Newport’s modern, award-winning residence halls, which are furnished with spacious and comfortable bedrooms, computer labs, coin-operated laundry rooms, and television and recreation lounges. Meals will be served on campus. Menus will vary but will offer plenty of variety and options. Transportation will be provided for all off-campus excursions and activities. Will I receive college credit for participating in the Summer Humanities Institute? Yes. Students who complete the program will receive three college credits. What are the dates for the Summer Humanities Institute? If I’m a local student, can I stay at home and still participate in the program? No, all students must remain in residence on campus for the duration of the program. In addition to rigorous coursework, the Summer Humanities Institute embraces the benefits of a residential, liberal arts college experience. I have already been admitted to attend Christopher Newport as a freshman in the fall. Can I still participate? No. Only rising high school juniors and seniors (students currently completing their sophomore or junior year) are eligible to apply for admission. I haven’t taken an SAT or ACT yet. Can I still apply? For rising juniors and seniors we can accept a PSAT or PLAN score report in lieu of SAT or ACT scores for admission review. Our dining halls feature a variety of vegetarian, vegan and gluten-free options at every meal. If you have more specific needs, please contact us. I’m interested in attending Christopher Newport as a student when I graduate from high school. Will I be able to interview for admission while I’m on campus? Yes. Rising seniors will have time to schedule an admission interview with a university fellow. If you have additional questions, please email the College of Arts and Humanities at summerhumanities@cnu.edu. *Linens and towels are not provided; each student must bring their own.